Long necklaces are a classic piece in any woman’s jewelry collection. 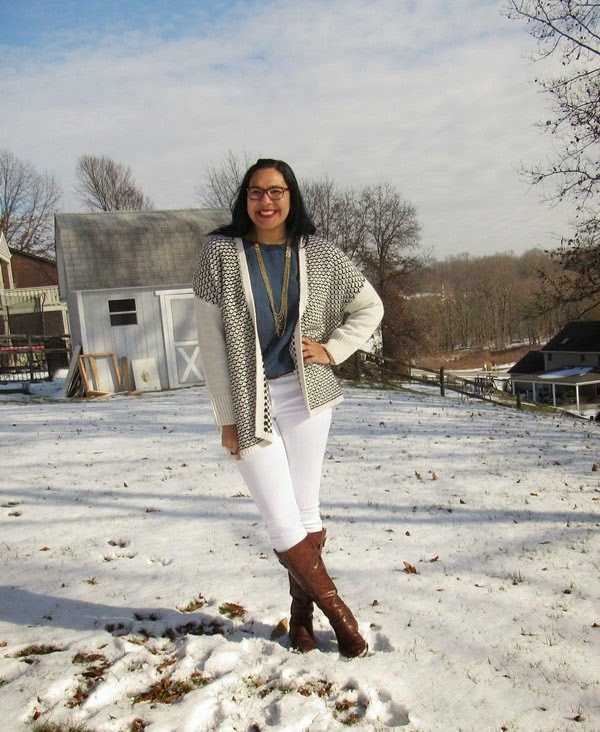 They can add instant personality to any outfit—casual, formal, or in between, so Adrienne of The Rich Life (on a budget) and I wanted to highlight them for February’s “How I Wear My.” Whether of precious metals and stones or pure costume, long necklaces add a touch of glamour to a look in an effortless way. I can see why, what a great necklace, you just know that beauty goes with everything! Ah yes, once again we see the power of black and white, with gold accessories. This may be my new favorite picture of Nora, she looks stunning, so modern and glamorous, and since I am attending a party at the Fashion Institute of Technology this week to celebrate Yves Saint Laurent (and Halston), I wish I could borrow this necklace from her! Suzanne of Suzanne Carillo says she’s only recently started wearing longer necklaces and that she made the necklace featured in this photo. I think this is such a great look on her and I also like this as a photograph, with the intense color of the blouse and her hair, the necklaces on the dress form, and all the flowers! She should put this on her business card! If you’d like to see how she made this necklace click here to read all about it. It’s a great DIY tutorial! As for this look, pardon me while I gasp. Tamera looks stunning. It’s possible that I say this every time she joins us, but this is probably my new favorite photo of her. She just keeps upping the style ante and I love her for it! A detailed shot of Tamera’s necklaces. When I saw this picture of Becky of Pink Cheetah Vintage I had to have it for the long necklace roundup! I love the vintage dress on her, as well as the multiple necklaces, and boots, but I think my favorite part of this picture is her beautiful face and smile! I like that Nicole made this striking and unusual long necklace and that she considers red a neutral! 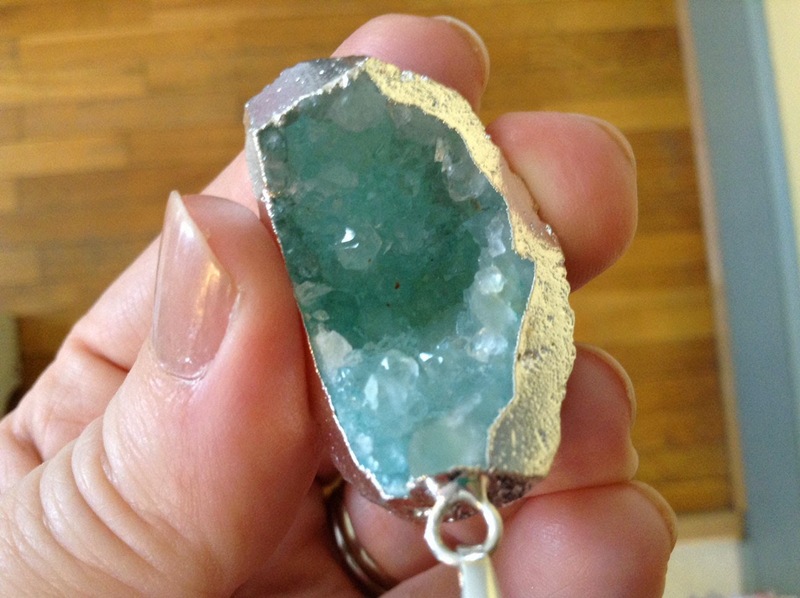 I love this look on Joyce and I really love the idea of a jeweler custom-making a necklace! I hope I get a chance to work with a jeweler one day on an exclusive design. It sounds divine. What a perfect winter outfit for Gracey, I love that pattered sweater (now I want one, is that current season? ), which goes so well with her white jeans, cadet blue blouse, and the multi-strand gold necklace. Dawn Lucy looks so great in this combination. This is another tassel necklace to love! And it always cracks me up when pooches (or cats!) decide they want to find out what’s going on and end up making it into the shot. Gray is one of those colors that I think is so beautiful in winter and I love how Linda has worn it here. I need a pair of gray velvet jeans myself! 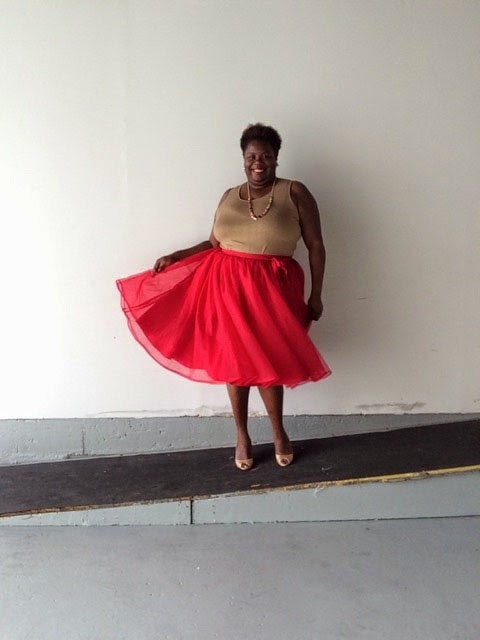 I do love a gal in a bright tulle skirt and I love that she paired it with a neutral top and shoes. The necklace fits into this ensemble perfectly and Malia looks ready for Valentine’s Day! 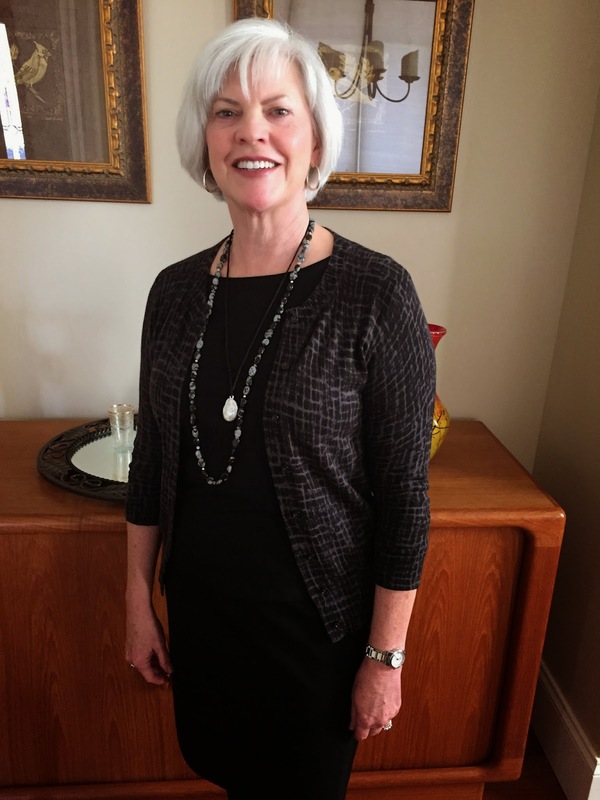 Teresa, wife of photographer Denton Taylor, is looking streamlined and chic (edgy too) in a black necklace from the Iris Apfel collection, a Louis Vuitton silk blouse, and Moschino silk jacket (love). I don’t own any lariat necklaces but I want to after seeing this wonderful look on Cynthia. 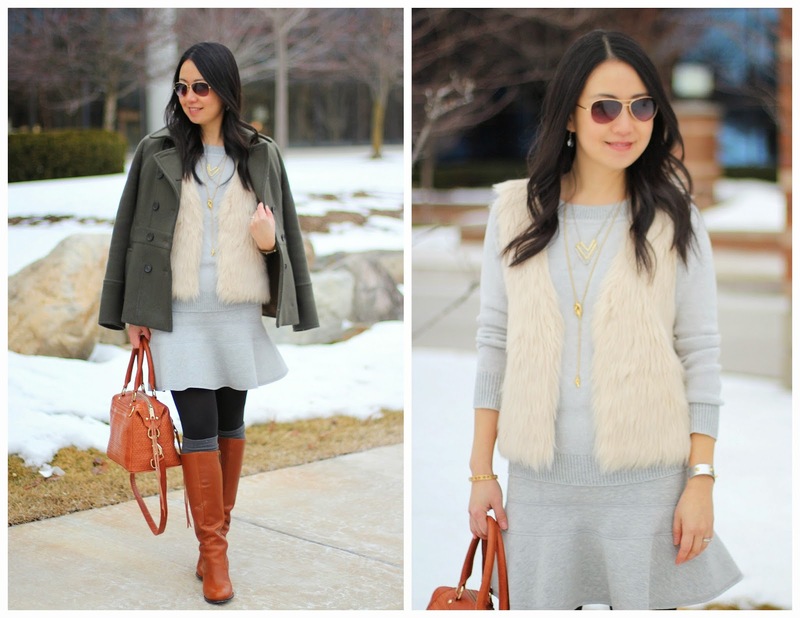 I love the mix of textures and colors in this outfit, especially the pale pink fur vest with gray. Gorgeous! Elsie of The Cooking Wardrobe says she loves jewelry and sometimes wears this outfit to the shops. 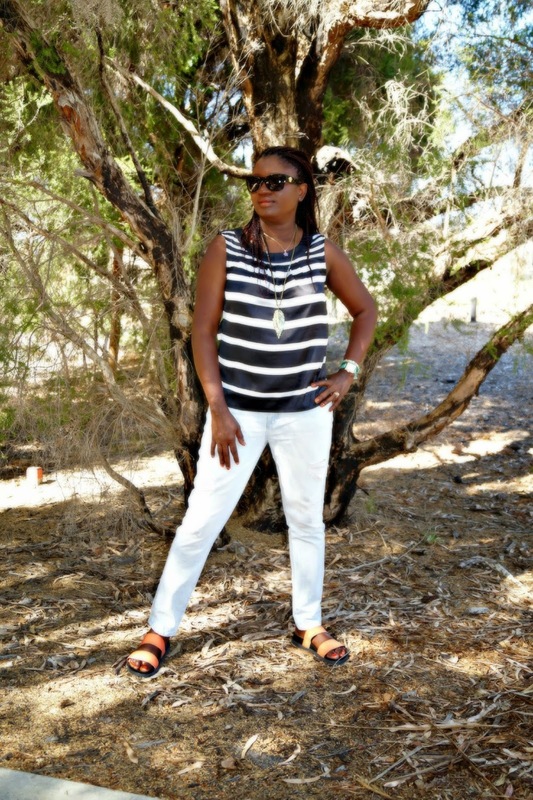 I think she looks so cool in this combination of a black and white striped blouse, white pants, and sandals. Her necklaces and sunglasses add the perfect laid-back yet glamorous touch. I love that she wears hot pink socks with her Mary Jane pumps. Those and her necklace make the whole outfit pop! Our mix-master is at it again, what a great combination of plaid pants and leopard bag, especially with the addition of the multiple necklaces and silver Brogues! 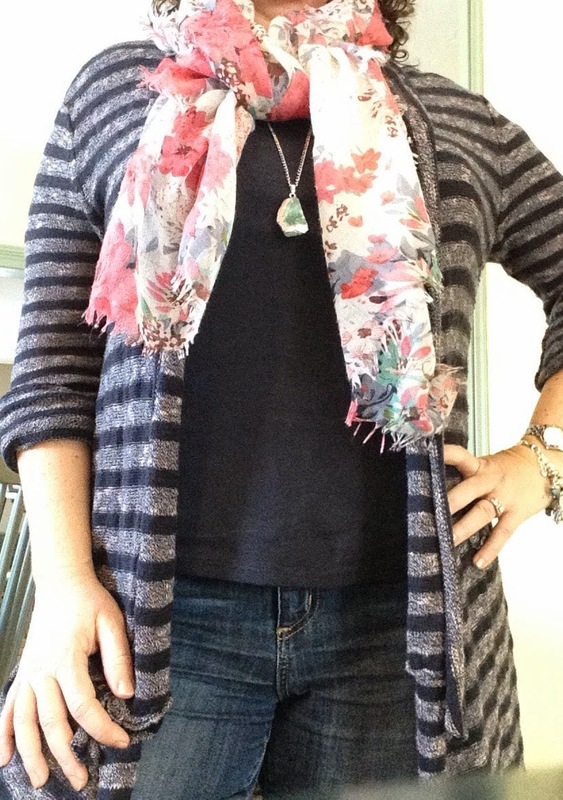 I love stripes with floral scarves and a big chunky rock necklace (and denim! ), so I am a big fan of Heather’s look. I would wear this myself! Detail of the stone. What a gorgeous aqua color! I think these necklaces are the perfect combination (is that another tassel I spy?) and I like the way they, plus that great tuxedo jacket, gold cuff, and sunglasses punch up a pair of jeans and a white T-shirt! Another DIY-necklace maker! I love this look on Ana, she is always so beautiful in lace, it really suits her, and how wonderful that her necklace has personal meaning. A closer view of the necklace. I love it with lace! I picked up this multi-strand long necklace several years ago from a J. Crew online sale. I got it for a really great price, less than $25 I believe, and it is easily my favorite long necklace! I love its mix of white crystals with the two different gunmetal chains. It feels like a modern-day flapper necklace with an edge. 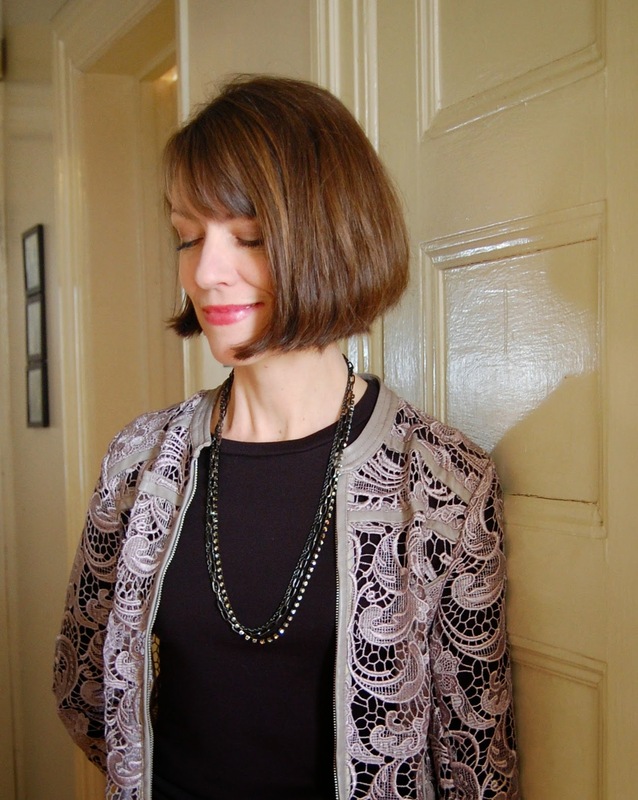 I wore it with a silvery-beige lace zip jacket from Macy’s and black pants from Gap. I’m standing in my hallway because oh my, it is cold and snowy in NYC lately. Brrr! A better shot of the necklace. Do you prefer a long necklace or one that sits higher on the neck? Depending on where you live, March can be tough to dress for, freezing one day, mild the next. One item that always works this time of year with unexpected weather changes are booties! 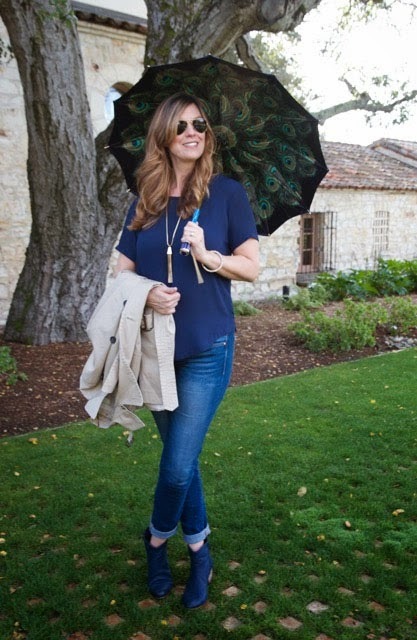 Whether you like them with a high or wedge heel, low-slung with a Western feel or sharp and chic for strolling down city sidewalks, join us for “How I Wear My: Booties.” Send a picture to us at howiwearmy@yahoo.com by March 2, 2015. 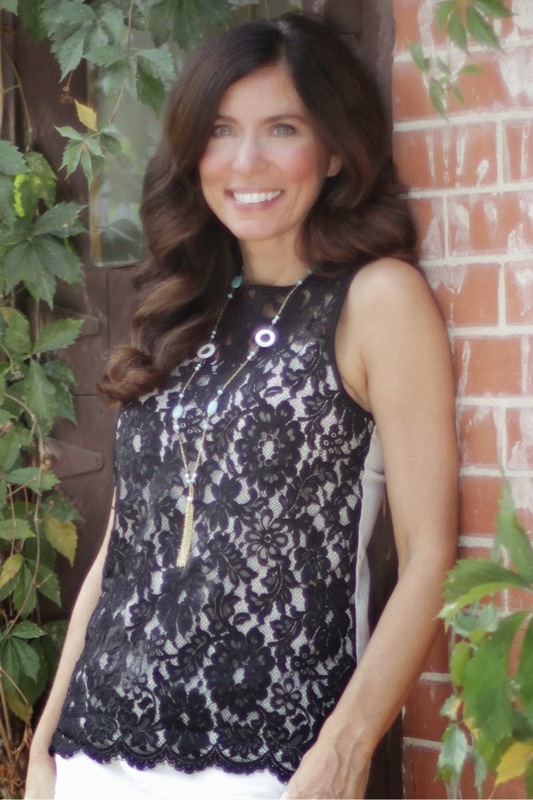 Do swing by Adrienne’s to see even more glamorous jewelry looks featuring long necklaces. Love all of the looks! Did so much pinning! What a fabulous variety of styles and necklaces here. Thanks again for including me Jill. I love your necklace and that lace cardigan too. Thank you so much for including me in this month's HIWM! Lots of great looks and I always look forward to seeing the HIWM posts for some fashion inspiration. Fantastic looks! What a great turnout this month. I love your necklace, Jill. And I love the color combination you're wearing. Very flattering - and might I add that your hair is looking fabulous. What a treat to see so many different looks with long necklaces. Jill, I love this necklace, its so classy and seriously can be worn with almost any type of outfit. Love the way you wore it with the black, bringing out its pure beauty. Lately I prefer a longer, more simple necklace and have been wearing more more of these. 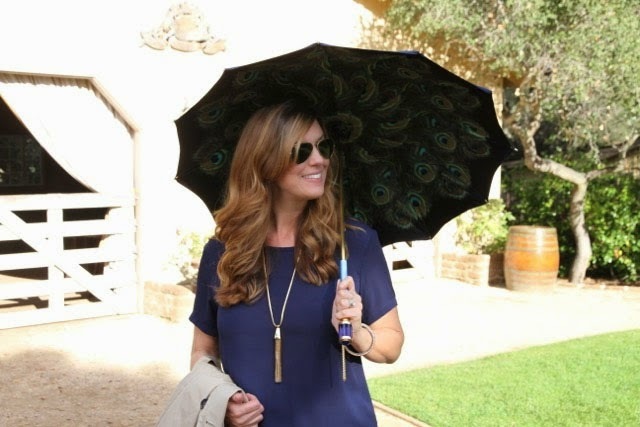 Lots of great style inspiration here as usual! Thanks for another successful HIWM! A spotlight on the long necklace was a fab idea and I bet booties will be a big hit next month too! Thank you for another great HIWM and your kind words about my look, that party you are going to sounds amazing and I wish I could go...Love your necklace and your lace jacket as well and of course all the other fabulous looks from fabulous ladies. Thank you for hosting HIWM...again. There are some great looks and styles here. Love Tamera's necklace. And you, ma chere, look very Chanelesque. Love!! Great How I Wear My this month! 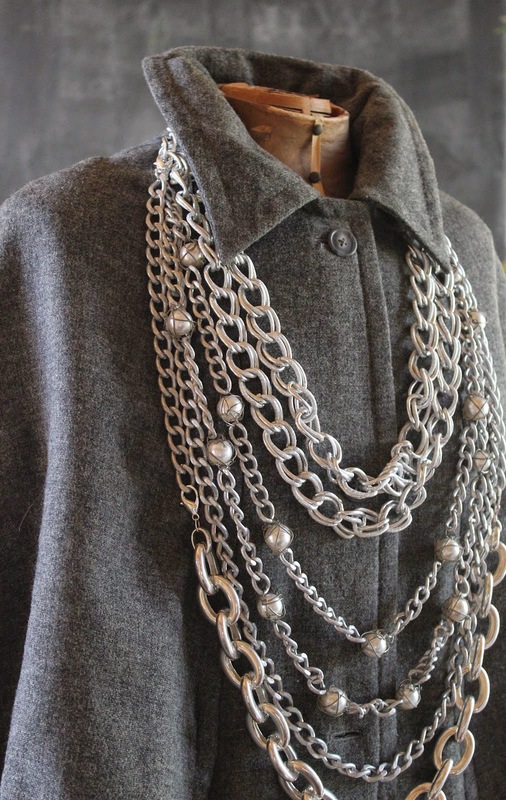 Love your J.Crew multi-strand necklace and what a deal! My favorite is Teresa Taylor's link necklace, it is a beautiful exclamation point to a classic outfit. Another fabulous round up my dear! So many great interpretations on your theme! I hope to see pictures of the fabulous party your will be attending! Savor and enjoy my dear! I just love all the variety of long necklaces showcased here. From dainty to statement - all so awesome! Many, many lovely examples. 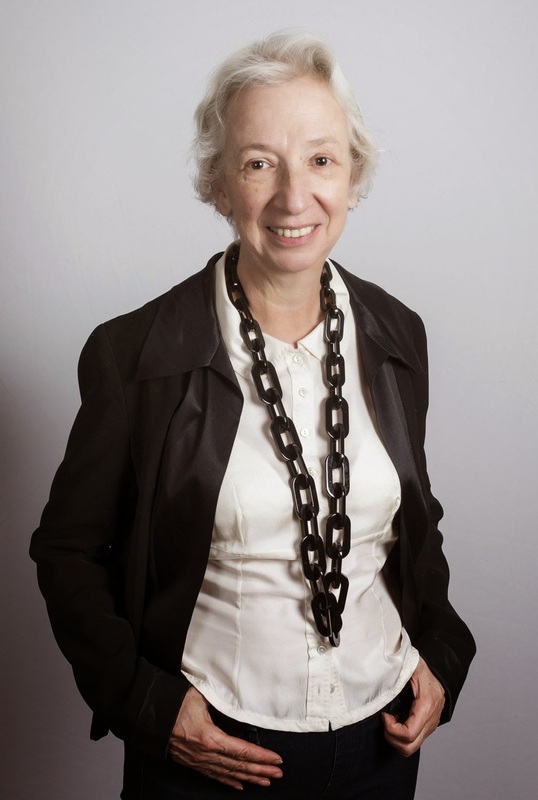 I especially love the chain necklace of Theresa. I have a few necklaces like that as well and love them to death. Thanks to everyone who participated and commented, I really appreciate it! It seems that Teresa's necklace was a hit in particular, not surprised, it's a good one. Your bob is looking very Anna Wintour perfect!!! Love the triple strand long necklace!! Everyone looks gorgeous. All the long necklaces are really just so cool looking. Thank you for including me! Another fun round up of lovely ladies....I like the variety of styles and accessories. Jill does look like she has something on her mind! Your parasol is so cute too.